Hailed as one of the year's top five novels by Time, and selected as one of the best books of the year by nearly all major newspapers, national bestseller Peace Like a River captured the hearts of a nation in need of comfort. 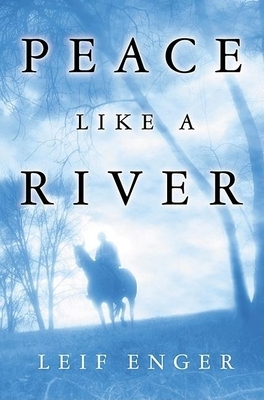 "A rich mixture of adventure, tragedy, and healing, " Peace Like a River is "a collage of legends from sources sacred and profane -- from the Old Testament to the Old West, from the Gospels to police dramas" (Ron Charles, The Christian Science Monitor). In "lyrical, openhearted prose" (Michael Glitz, The New York Post), Enger tells the story of eleven-year-old Reuben Land, an asthmatic boy who has reason to believe in miracles. Along with his sister and father, Reuben finds himself on a cross-country search for his outlaw older brother who has been controversially charged with murder. Their journey is touched by serendipity and the kindness of strangers, and its remarkable conclusion shows how family, love, and faith can stand up to the most terrifying of enemies, the most tragic of fates. Leif Enger's "miraculous" (Valerie Ryan, The Seattle Times) novel is a "perfect book for an anxious time, a book of great literary merit that nonetheless restores readers' faith in the kindness of stories" (Marta Salij, Detroit Free Press).